Your dog has been by your side during your best and worst moments in life. 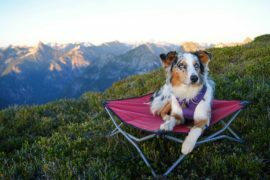 As the years go by you’ve probably noticed that your dog isn’t as physically active as they used to be. The young pup that used to walk for miles, now can barely walk around the block. Just as humans, senior dogs can develop arthritis and lose muscle mass making certain physical activities harder. 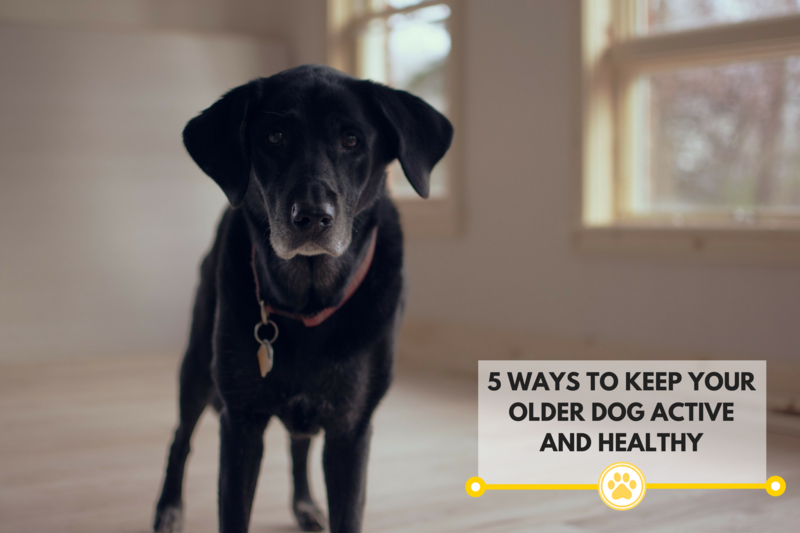 It’s very important that you encourage your older dog to stay active even when they are in their senior years. Physical exercise can keep your dog’s muscles from deteriorating further and help them burn off excessive calories. Exercise can improve their way of life. No matter how old your dog is they should continue to get exercise every day if possible. Here are five different ways you can keep your older dog active. Swimming is a fun activity you can do with your elderly dog. Since it is a low-impact exercise, you won’t have to worry about your fur baby straining their muscles or joints in the water. Your dog can also develop their muscles when they are swimming laps. Another way you can help your dog remain active is by encouraging them to stretch their muscles before they exercise. This will increase their range of motion and give them a nice warmup. It sounds silly, but there are many exercises you can do to allow your dog to stretch. Next, lead them through exercises that will encourage them to improve their balance. These exercises are typically low-impact and can improve your senior dog’s ability to keep their balance while running or walking. 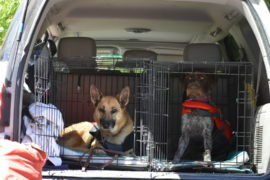 Depending on your dog’s health you can also take them for a run or walk around the neighborhood. Running and walking provides great cardiovascular benefits for your dog. 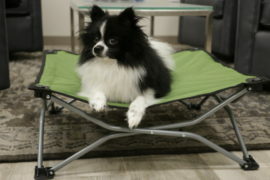 You can adjust the workout to accommodate the dog’s health and ability level. Some elderly dogs can still run with you but they are more comfortable at a slower pace. Yet for others you may have to decrease your speed so they have a better chance of keeping up with you. When you are outside with your pet, pay attention to how they are acting and look for signals that they are tired or in pain. They may go slower or stop frequently if they are uncomfortable or can’t continue running or walking. If you are really worried about their physical ability, you can seek the approval of your veterinarian before you take them out for strenuous exercise. 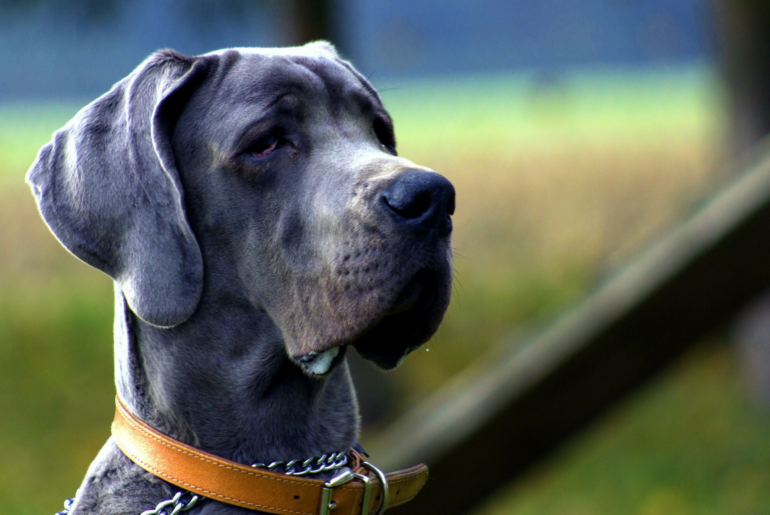 Senior dogs should visit the veterinarian once or twice a year for a checkup. They can let you know if the dog has any physical limitations or if they need additional supplements. Veterinarians can also recommend certain exercises or advise you on certain dietary restrictions your dog should follow. They can let you know if a new diet or medication will affect your dog’s level of physical activity. Try to be patient with your senior dog as they age. They still love you and want to stay active, but their body can’t do some of the things it used to do. We encourage you to celebrate what your dog can physically achieve. 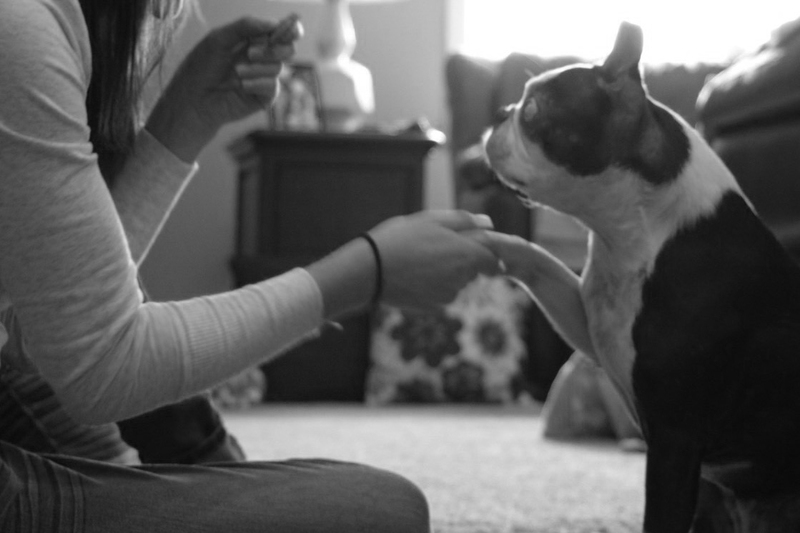 If they went on a run and it was hard on them, reward them with a treat or a massage. 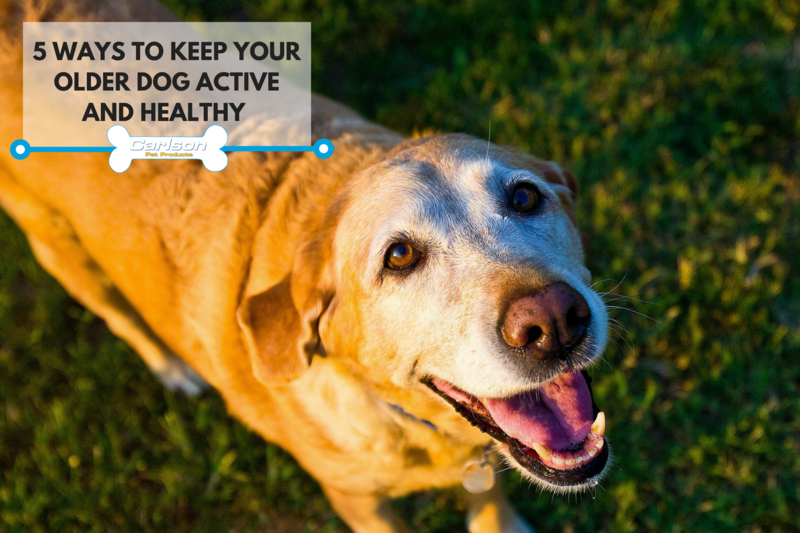 With proper nutrition and exercise, your senior dog can remain fit and healthy.